CINCINNATI – The Sixth Circuit Court of Appeals affirmed this week that prayers given before legislative bodies are constitutional, despite atheist assertions that such practices cannot withstand legal scrutiny. Soon after FFRF’s letter was sent, Brandon Jones and Thomas Coleman—both members of the local Chattanooga Freethought Association—filed a lawsuit against the county, demanding that it immediately suspend their prayer routines. 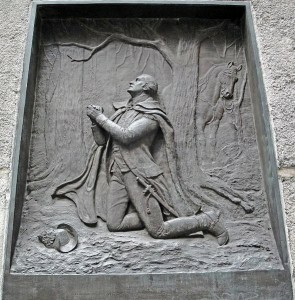 Following the lawsuit from Jones and Coleman, members of the Hamilton County Commission adopted an official prayer policy, called “Resolution 712-13.” Though their practice of facilitating prayers before meetings was not new, the commissioners passed the resolution to clearly lay out and define their prayer policies. Additionally, by citing case law from the Supreme Court, the court reaffirmed the importance that legislative prayer has held throughout U.S. history. The case will now move forward for further legal review.